When you think of relaxing treatments, the first thing you are likely to think of is a face mask and cucumber slices over eyelids. However, the world of alternative treatments is so much bigger than that ? there are many everyday products which can be used as part of your beauty regime. Not only do these cost significantly less than manufactured beauty products, you can be safe in the knowledge that you know exactly what is going onto and into your body, which is especially useful for people with sensitive skin. Ivana Knezevic, a cosmetic chemist and the owner of i2 by Ivana K, has some very helpful tips on skincare. Gina Rafkind is founder of VedaSun, as well as a professional hair stylist and aromatherapist. She offers her knowledge on natural hair remedies. 1. Beer - Let's start with possibly one of the most unusual solutions and the wonderful effects beer can have on your hair! Gina says: “Using beer as a hair rinse adds body and shine to the hair. I believe that it is all the sugar and protein in beer that gives hair the incredible shine and fullness. ?Actress Catherine Zeta-Jones swears by it to maintain her glossy locks, although she admits to smelling like a beer barrel for a while afterwards. To make like Catherine, just rinse your hair with one can of warm, flat beer once a month, or whenever your hair looks dry and dull. Rinse hair thoroughly with warm water, et voil? bouncy shiny hair. Different people recommend mixing oils with the beer to make it smell nicer, but plain beer seems to work just as well ?just make sure you don’t try this before a night out, even if it is to the pub! 4. Sea salt and Sugar - Now to move onto skin exfoliators. There are many combinations you can use, but a couple of the most simple are sea salt and sugar mixed with water. Ivana says: “Both salt and sugar are commonly used as exfoliators with excellent results. They absorb different impurities on the skin, and like all exfoliators, the skin is left silky smooth. What’s more is the fact that they are natural and part of every household. ?Sea salt is not recommended for facial use, as it is a little too abrasive, but sugar works very well to fight off spots and remove dead cells from the skin’s surface which can make it appear dull. To use the sea salt option, open pores by immersing your body in warm water and apply the solution liberally. Rinse with warm water and be warned that the bath can feel very gritty afterwards as the salt sinks to the bottom! Apply a warm flannel to your face before gently applying the sugar solution, as this will help to open your pores so the scrub can deeply cleanse and exfoliate. Rinse with warm water afterwards. 7. Plain Yogurt - Not only a yummy food - it also has fantastic antibiotic properties, which means that it can kill off the bacteria of blemishes on skin. Ivana explains: “There are many reasons why yogurt is good for the skin: B vitamins, lactic acid, zinc, enzymes, protein, active bacterial culture... And it can be helpful with different skin types, from acneic to tired, dull skin. ?Combined with honey it can be used as a facemask to cleanse, soften and soothe. Apply to your face and rinse with warm water after 10-15 minutes. As it is a great moisturiser, you can also use it for your hands and body, but make sure you rinse it off! 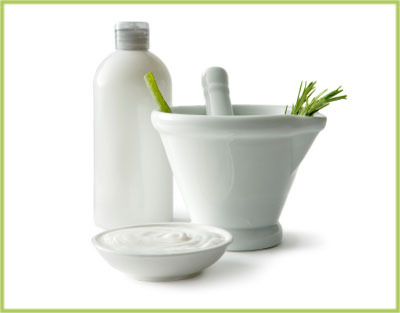 Natural products are interchangeable which makes them even more accessible and cheap than manufactured ones. Obviously, it is unlikely that you will cease to use any man-made products, but it is nice to know that there are things that you can make quickly, cheaply and easily by yourself. Also, it means that you are more aware of the properties nature provides us with - after all, manufactured properties came from something natural in the beginning! For more information on Ivana’s skincare products, check out แจก user ทดลอง เล่น ฟรี. This article has previously been featured (minus the quotes) on แจก user ทดลอง เล่น ฟรี sensitivefoodies.com.